Funeral services for Della Weeks Robinson, 86, of Aiken, SC will be held 4 o’clock p.m., Sunday, March 31, 2019 at Good Hope Baptist Church with the Reverends Robert Jackson and Bill Williams officiating; burial in the church cemetery. The family will receive friends from 3 p.m. until the time of the service on Sunday at the church. 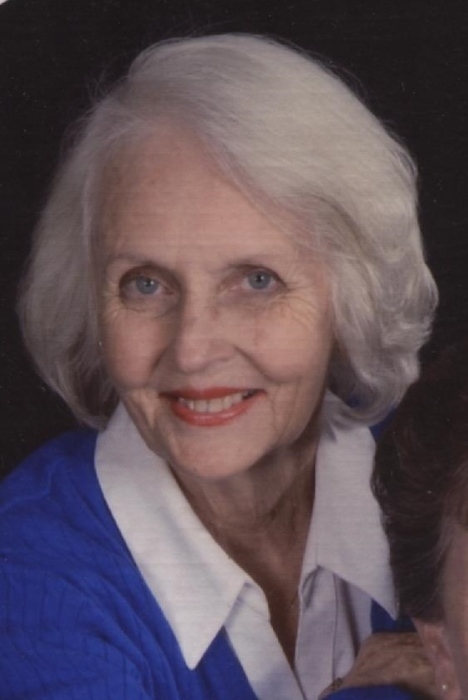 The family has asked that memorials be made to Good Hope Baptist Church, 2118 Sliver Bluff Road, Aiken, SC 29803, Mrs. Della passed away on Thursday, March 28, 2019. Born in Kitchings Mill in Aiken County, SC she was a daughter of the late William and Nezzie Mundy Weeks; was first married to the late Jack Jackson and was the widow of the late Allison Austin Robinson. Della was a graduate of Windsor High School and a member of Good Hope Baptist Church. She loved to work in her yard and was a garden extraordinaire. She loved animals and was a loving Mother and Grandmother. Survivors include her children, Jacquie Hicks of Montmorenci, SC; Robert (Janice) Jackson of Aiken, SC, Rhett Jackson of Aiken, SC and Janice Madden of Aiken, SC; grandchildren, Michelle (Cliff) Warner, Carla (Andy) Deering, Katie Mathis, Paul (Eva) Jackson, and James (Rachel) Jackson; great grandchildren, Baleigh, Ellie, Abby, Luke, Chesler, Micah and Caleb. She was preceded in death by a sister, Hazel Youmans; brothers, Albert, Lonnie, Wallace and Yarbarough Weeks.